I read this quote hours after Diana Nyad dropped the curtain on her fourth attempt to swim from Havana, Cuba to Key West, Florida without a shark cage – something she’s dreamed about since she was 8 years old. She knew there would be aches and pains, jellyfish, sharks and storms — but she probably didn’t think they’d come all at once. 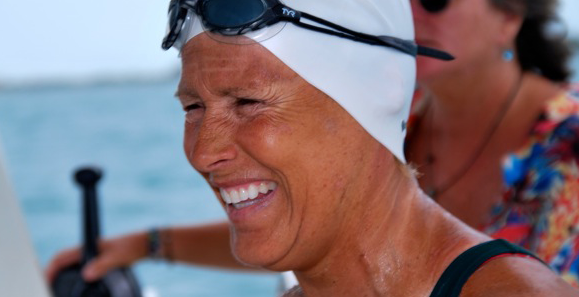 You might have been paying casual attention to Nyad’s attempt to set a world record on the 103-mile swim, but you might not have caught that she’s 63 years old. At a time when most 60-year-olds I know are finding excuses not to walk around the block, she’s active on an epic level. Yesterday I was unexpectedly asked by a cold caller from my bank what my “retirement plans” were. I just about gasped; I’ve never even asked myself that question. But thinking on it now, I’d probably say my “plans” are to stay as healthy as possible, as active as possible. Nyad certainly isn’t your average retiree, but her depth of spirit resonates. Last night I was lucky to meet another lifelong, accomplished swimmer. Dr. Jane Katz was part of the 1964 Olympic team — part of the synchronized swim team, at the time an exhibition sport. Katz was instrumental in getting synchro-swimming accepted as a medal event. Now 68, Katz still performs, and has won championship titles in masters short- and long-distance swims. She continues to teach aquatic fitness courses at John Jay College, and to seniors groups. 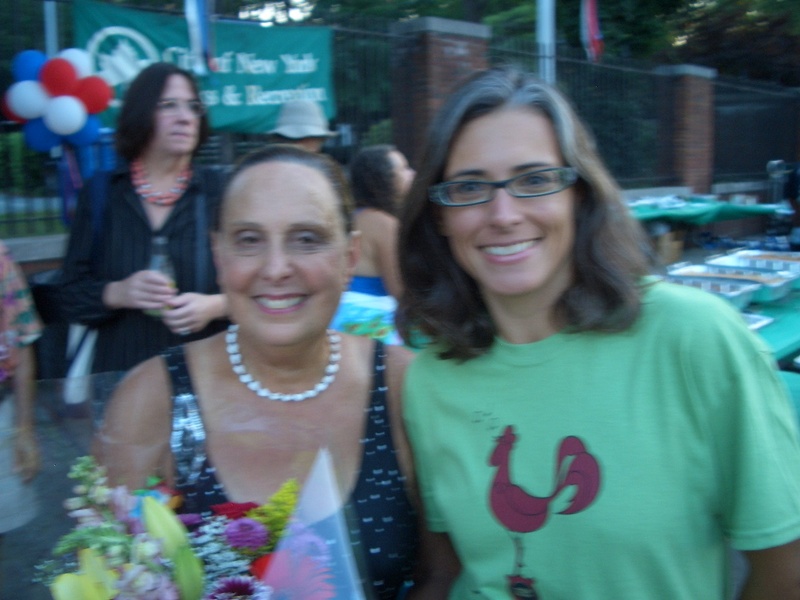 I chatted with Katz last night at the annual New York City lap-swimming awards. NYC’s adult lap swimming program, which takes place at a dozen city outdoor pools, offers adults blissful morning and evening kid-free swim hours. Katz was there performing a short swim routine, and helping honor the hundred swimmers (me included) who logged 30 miles during the program’s first six weeks. We spoke about Nyad, jellyfish and the importance of goals — even if you have to change them. These two wonderful women — one I’ve met and one I haven’t — were in my thoughts this morning as I logged my 1.5 miles in the pool thinking about my ‘retirement goals.’ I don’t know where I’ll be or when I’ll get there, but I intend to cross a lot of finish lines along the way. 1. But before I’m too hard on ‘ole Anna, I can certainly remember times when I’ve thought “why?” about others’ goals — like the guy that recently tight-rope walked over Niagara Falls. I have to work on that myself, clearly. This entry was posted in People and tagged Diana Nyad, Jane Katz, NYC, swimming. Bookmark the permalink.